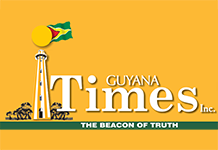 The musical culture of Guyana, like so many other facets of Guyanese life, has suffered a serious decline and perhaps the time has come for various stakeholders to review the situation with the aim of ensuring that the necessary action is taken to remedy the situation. Until about a generation ago, there was far more variety and also stronger evidence of classical music, whether Western or Indian. Today, most of the music which one hears on the radio and television and that is being played in live performances, tends to be American or American influenced. Percussion tends to dominate. Another musical strand which is now popular in Guyana and is heard on the minibuses is Jamaican music. Most of the Jamaican music one hears in the public transport and at village dances and parties tend to be below the level of Bob Marley and often has a strong streak of vulgarity, with some even promoting abuse of our women folk. 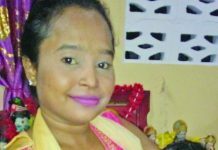 Already Guyana is experiencing a high level of domestic violence and such music negates the strenuous efforts being made by the government and civil society actors to address this scourge. In relation to Indian music, the same trend has occurred; Bollywood predominating and the ignoring of the rich and ancient Indian musical culture. Added to this are the chutney singers, especially the Trinidadians, whose popularity continue to rise in Guyana and in other Caribbean countries. Some of them have gotten fame from promoting and encouraging rum drinking in their music, often making references to various characters resorting to rum drinking as a way to deal with social and other problems encountered. We are well aware, alcohol is considered to be a “downer” type of drug, so it should not be consumed if one is in a depressed state of mind. Drinking while in a depressed state will certainly contribute to feelings of more depression; hence persons should be sensible and not allow the messages that are being peddled in the “rum songs” to convince them otherwise. Of note too is that there are very few young people learning formal music. Until a generation ago, there were many first-class music teachers, and the better secondary schools always taught music. Each year, hundreds of children in both city and country schools did the Royal School of Music examinations with a high number going as far as Grade 6 and being able to play classical music. Additionally, the radio stations carried many hours of classical songs each week and these were regular performances by local artistes. For example, the Georgetown Town Hall had concerts every Sunday. Their musicians like Lynette Dolphin and Rosemary Ramdeholl performed. The Militia and Police bands also had regular weekend performances at various venues like the Botanical and Promenade Gardens and the bandstands in Georgetown and New Amsterdam. Religious and church music of a very high quality was heard everywhere and Gregorian Chants and Bach were usual in the churches. Indian classical and semi-classical music such as bhajans, were sung as well as appropriate traditional songs at various rites of passage such as; marriages and deaths. And many people played the sitar, tabla, sarangi, harmonium and other musical instruments. Helping to strengthen the musical culture of these pastimes was the importation of musical instruments. One could easily buy a violin, piano, sitar, tabla or harmonium and many types of drums in certain stores in Georgetown and New Amsterdam. For decades now such musical instruments have never been sold in the shops. The absence of the availability of musical instruments has greatly affected the cultivation of a musical culture. There are several steps which could be taken to revive our musical culture. The Education Ministry and the Social Cohesion Ministry through its Department of Culture, the churches, mandirs and the schools need to design and implement programmes aimed at reviving our musical culture. The radio and television stations must be encouraged to have classical music, there is need for more Music Festivals and Police bands must begin to give regular public performances and children and others must be introduced to the classical music offerings of the internet. Certainly, with the strengthening and expansion of musical culture in Guyana, newer avenues of enjoyment would be opened.